Mecha Form has announced on their Facebook page that preorders for their Sky Guardian figure will be going up on various online retailers. 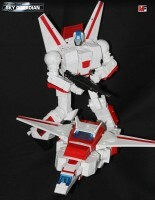 They also provided product images to show off their the Generation 1 Skyfire homage that is about 2 years in the making. According to preorder listing on BBTS this figure will stand about 25cm (10″) from head to toe. 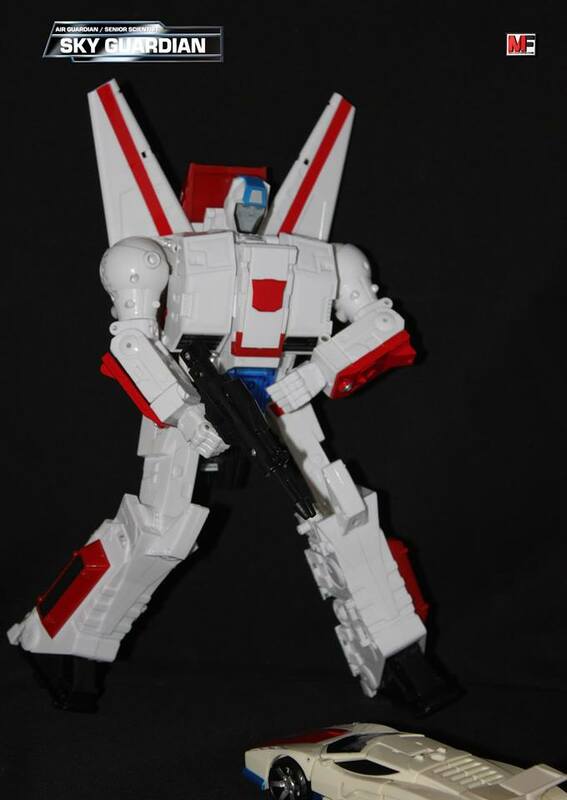 Through their Facebook communications Mecha Form mentioned they intend for this to go along with Generations and Combiner Wars collections. 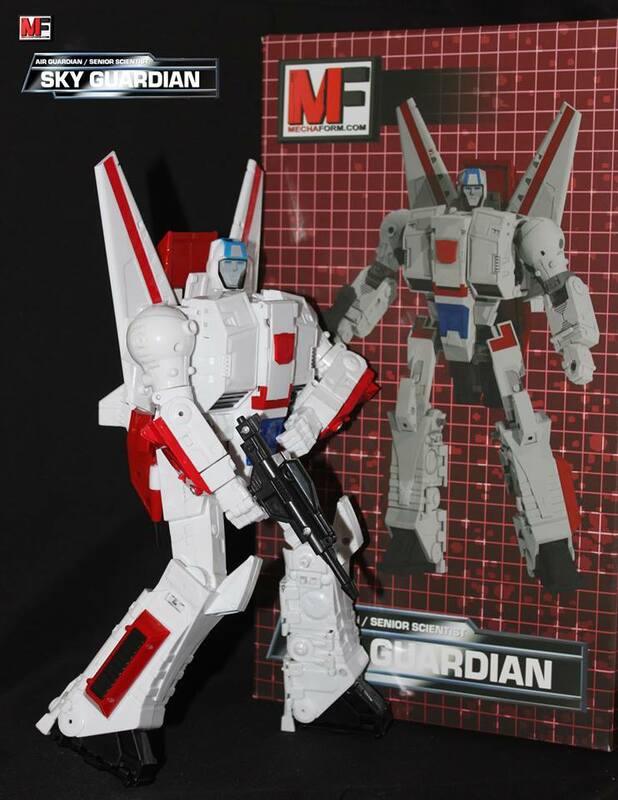 Sky Guardian is scheduled to be release during the 4th quarter of 2015 for $169.99 USD. Check out the images after the break, and let us know if you plan on adding this to your collection. I paid 35 shipped for him. Had to unscrew and move stuff right out the box. Where can I find instructions to transform him. Ooof, that face. Makes Kronos look like a pageant queen. I'm currently marvelling at Phoenix's face sculpt, so looking at this poor fellow just hurts. You know, I do too. Even with Phoenix looming over him on the shelf (and in every other respect) I still have room in my heart for Sky Guardian. U sir have the heart of gold…would u consider adopting deformed strays? Hahahaha, I walked right into that one! Not for me but hey, if you guys like it then it's good for you. I'm sure my wife says the same about me! I really like mine, even though I know I shouldn't. 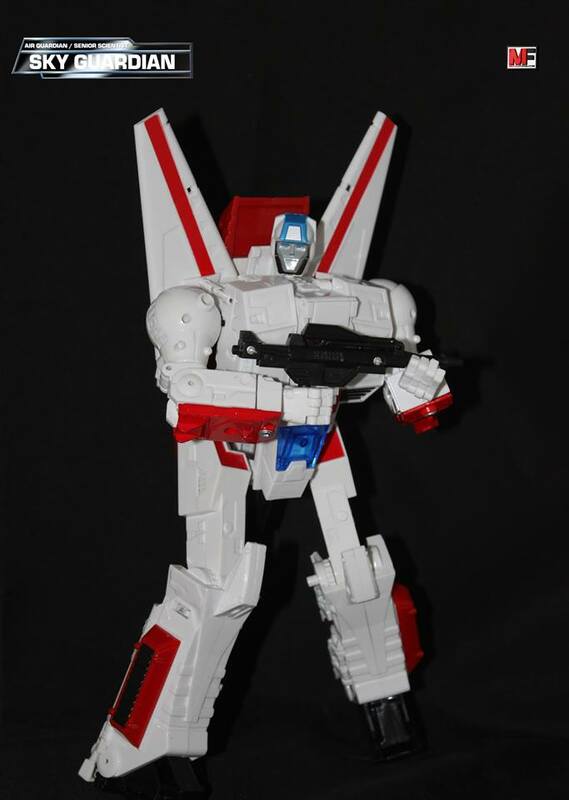 Someone has this on ebay again for $40 and I just pulled the trigger on it. I know its not perfect but its probably the best "Skyfire" Ill ever get for the price. Since most leaders are that price anyway I figured what the heck. My 6th 3rd party purchase in a week. After I got my 2nd Sky Guardian, I realised I should have used something like RC plastic gear lube, for the tight transformation hinges right above the elbows. but when I receive some other shapeways stuff soon I will finally get to it. He simply fits nicely along my TR Takara Super Ginrai, TR Sixshot and Takara overlord in January. 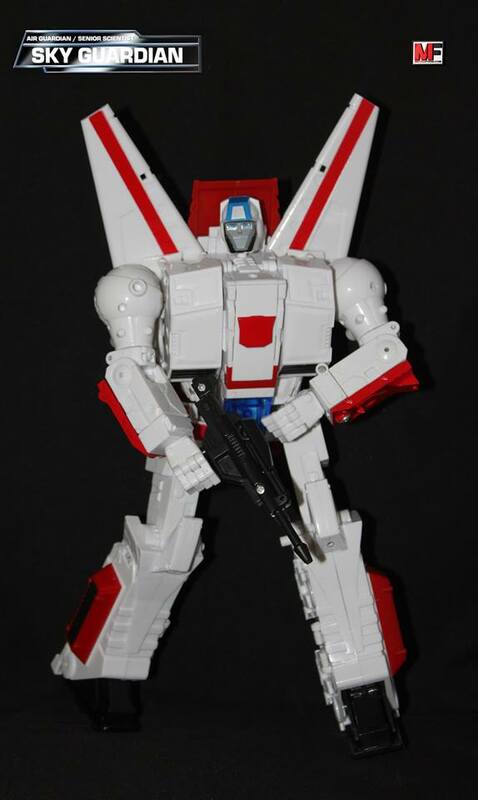 That X2-toys Skyfire looks like it'll be a pretty good toy, but I really don't dig the style and especially those arms just sitting aside the jet fuselage ; in that sense, it's sort of like a Hasbro 2006/2007 Jetfire revival. It's worth it at $40. I was able to justify the $155 for Sovereign, but I have trouble going over the $150 mark for most not-MPs. 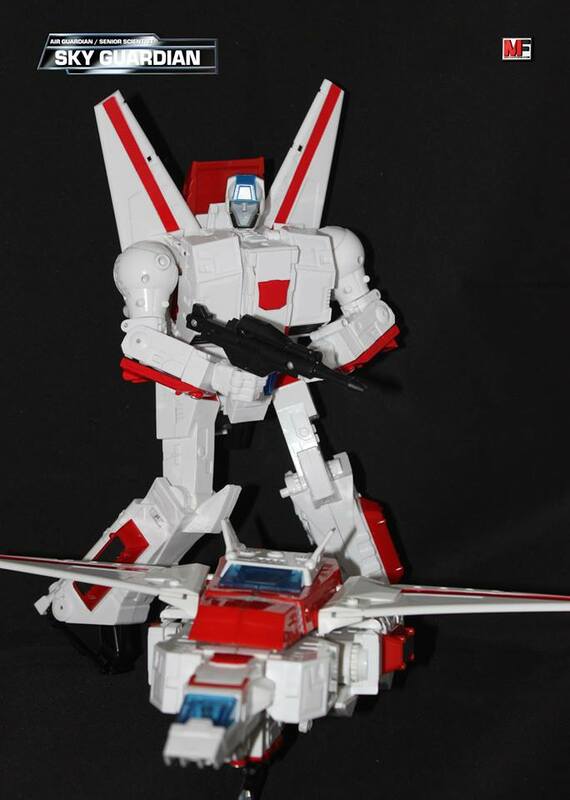 Part of it also probably has to do with the fact Skyfire wasn't much of a character – Fire in the Sky was a really good episode and had an actual story to it, then the Autobots just dug him up (despite having earlier believed he died) then used him as a glorified transport until he sorta vanished midway through season 2. 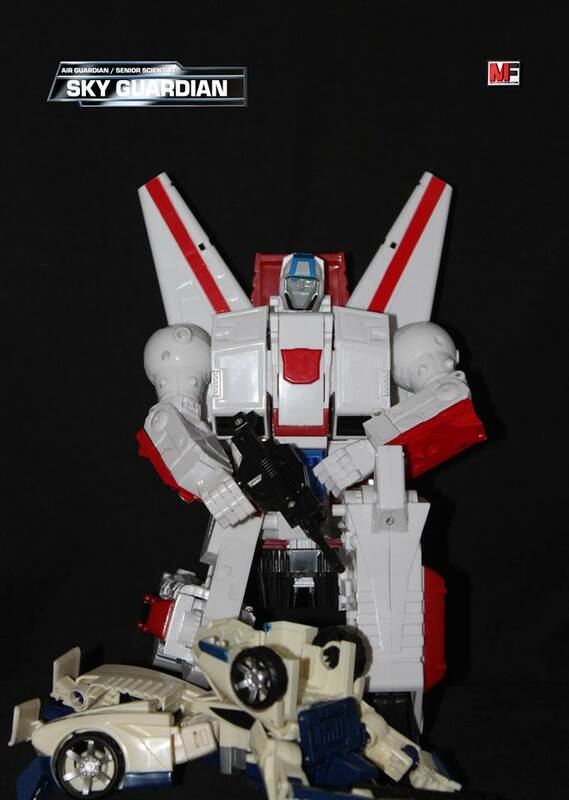 Sure, Astrotrain whined about being a glorified transport, but dammit, at least he had a personality. 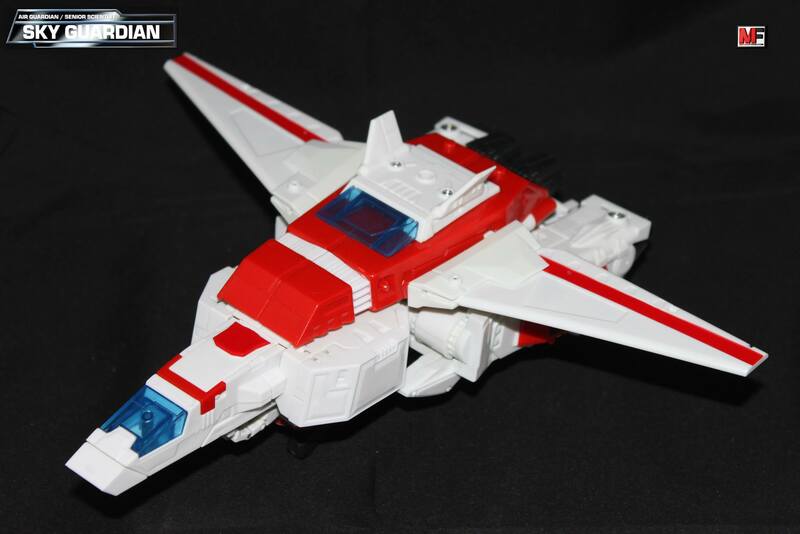 Skyfire…didn't. He was just there. Yeah. this thing is ok for the $44 shipped i paid. i wouldn't pay more than that. ft's is too expensive for me. I still always see Don Moffat, the guy who played "Garry" in The Thing or the President in Clear and Present Danger when I see the original face sculpt. those to him for further testing or I will test them myself. The adapter as it is online for sale now, is an improvement upon the test adapter 2 weeks ago, but this new batch should yield a final version. I'd say …2 weeks from now we'll know for sure. The Head 02 employs the exact same octagonal cavity for the adapter, so the final adapter version will fit the new head as well. Thanks! I saw your video after I took the pic. I was trying to transform without instructions but there were a few questionable moments so I just checked the video after I got a bit more than halfway. I agree though, with a couple of modifications it will be a pretty good figure and it will fit my collection at a better size than Phoenix at about a third of the price after the extra parts. More to save toward terminus! I'm getting the fillers, but was waiting on the adaptor to grab a new head. 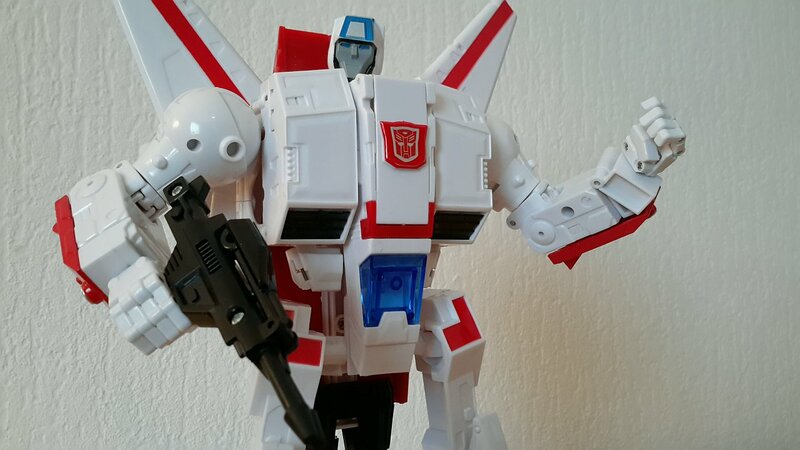 Does the new head with adaptor have any clearance issues during transformation?